Oh dear. It’s ‘Is It Just Me?’ time again. Anyway, you won’t be at all surprised to learn that the good old Daily Mail is up in arms about the whole thing. It naturally finds the proposal ‘sick’ and quotes a member of the public as saying, “it’s disgusting, using burning bodies to heat a pool” – as though the plan involved dousing Aunty Jean in petrol before casting her into the shallow end to keep the aqua aerobics class warm. 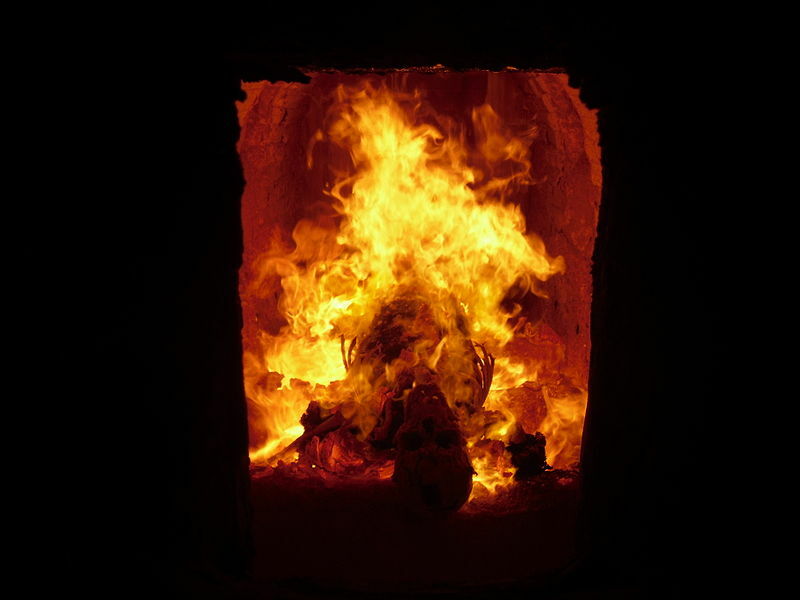 I also heard a radio interview with a local clergyman who expressed concern that the process would detract from the ‘spiritual aspect’ of cremation. Both he and the Mail seem to be overlooking the fact that, if you want ‘sick’, then chucking the body of your loved one into an industrial incinerator is quite a good start. However much we might want to believe differently, there are no harp-wielding angels on fluffy clouds behind those curtains, and Saint Peter isn’t the one operating the conveyor belt. So I’d just like to say: well done, Redditch. And I hope it’s not just me. ~ by somethingblonde on February 8, 2011. I have it on good authority that the editor of the Daily Mail kills every worm he sees because they have the appalling taste to eat – yes, eat, I tell you – dead people after they’ve been buried. I’m not sure whether this is something you couldn’t make up, something that is bound to distress Princes William and Harry, or just political correctness gone mad.